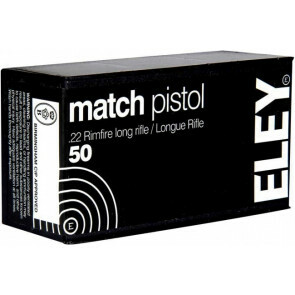 ELEY match pistol is a competition cartridge developed for the ultra-precise world of 50m Free Pistol. 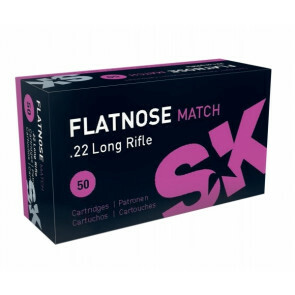 ELEY match pistol had be designed to perform with a lower velocity providing reduced recoil and a softer feel, which improves pistol control and delivers rapid sight picture recovery. 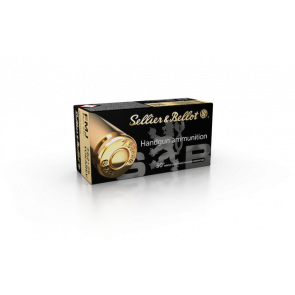 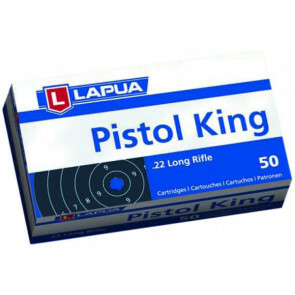 Essential to the success of a Free Pistol shooter is the uniformity of each cartridge. 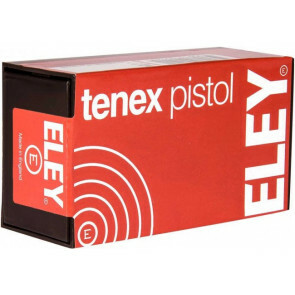 To achieve this each ELEY match pistol round is checked by analytical processes, including computer controlled visual inspection and finely calibrated measuring equipment.